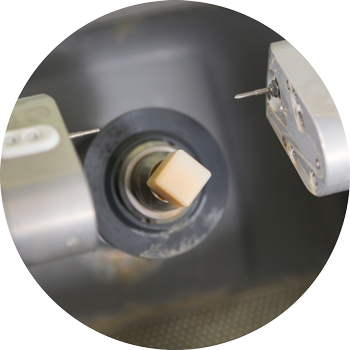 With the CEREC technology enables high-quality, tooth-colored ceramic restorations produced with computer assistance in the treatment room. Thus, no 2.Sitzung is necessary as with conventional, laboratory-fabricated inlays / onlays or crowns. The making of a provisional restoration is not required. Due to the time-saving, digital topography with a camera also does not apply to the CEREC method, the "impression-taking."